As a client pursuing a fresh start with a bankruptcy or you are looking to secure your assets with a Revocable Living Trust, you need experienced and skilled attorneys to effectively represent your interests. 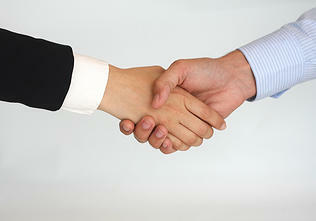 Established in 2005, strong, professional attorney-client relationships provide the foundation of this law practice. We are committed to developing, growing, and maintaining professional relationships with each of our clients. As your legal counsel, we strive to exceed your expectations by providing experienced, quality, caring, and efficient representation in the handling of your legal matter. We offer personalized attention to every case that is entrusted to this firm and we make every effort to be accessible to clients. At the Law Office of N. Nora Nye, LLC you receive personal, direct service from Attorney Nora Nye. You are not handed off to junior staff under the supervision of an attorney like large firms. Ms. Nye will personally help you through the complicated bankruptcy process or setting up your trust and other estate planning needs. We’re committed to taking a full-service, aggressive and innovative approach to each client’s unique personal and business needs, and are prepared to help you with your securing your financial future with the fresh start of a bankruptcy or by setting up a trust to protect your family from probate. If you have questions or concerns regarding a bankruptcy or estate planning, please contact us today. The Law Office of N. Nora Nye, LLC, located in Denver, Colorado, also serves clients in the cities of Boulder, Colorado Springs, Highlands Ranch, Littleton, Golden, Castle Rock, Parker, Grand Junction, Englewood, Centennial, Greenwood Village and Aurora, in the areas of Consumer Bankruptcy, including Chapter 7 and Chapter 13 and Revocable Living Trusts and other estate planning services. 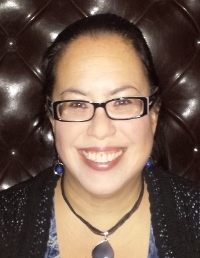 Meet with experienced attorney Nora Nye (not junior paralegal staff like with other firms). Call us 7 days to schedule a FREE attorney consultation. Appointments available even on evenings and weekends. Low down Payment Plans based on your ability to pay. Multiple payment options available.